This played out even quicker than we thought it would. 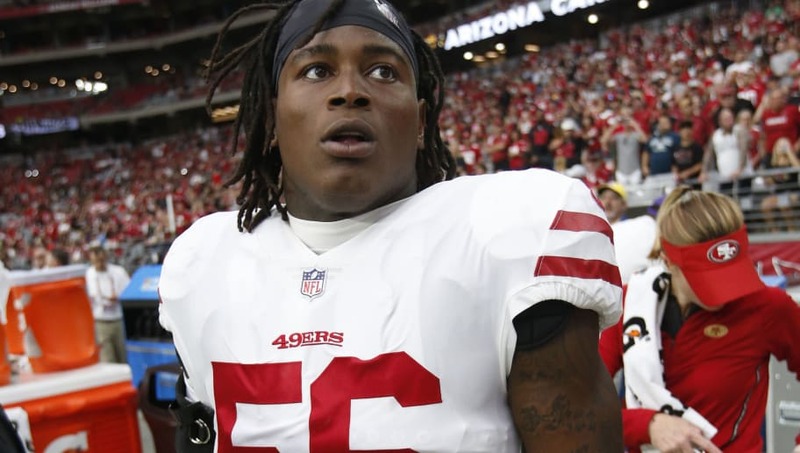 The morning after controversial 49ers LB Reuben Foster, already working on a second chance, was arrested on ​domestic violence charges at the team hotel in Tampa Bay, he's already been released by San Francisco. ​​At a certain point (namely, a second incredibly public arrest for the same crime), the organization simply cannot tolerate the ​PR attached to Foster any longer. After all, who would want to go through a rebuild with someone so obviously troubled? ​​Foster's first incident in the league was tainted by rumblings from the victim on the stand, claiming she lied about the allegations in order to take down the linebacker. But this incident involved the same two parties, once again throwing all the surrounding discourse into doubt. Whatever has happened in the past or present between the two, the 49ers decided they'd seen enough, and had no interest in reconciling with someone who's mostly brought terrible news to the table. And with the 49ers getting ready to play the Buccaneers today, their now former LB Reuben Foster remains in jail on a domestic violence charge. ​​Foster remains in jail as game time approaches.